New construction! 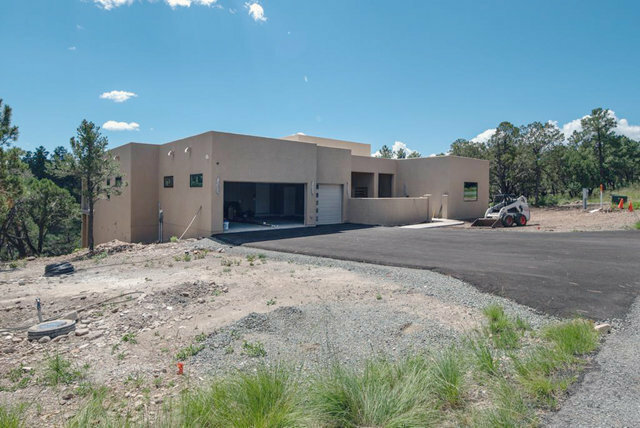 One level, Contemporary Santa Fe style home! Open floor plan with 14 ft. ceilings, 3 bedroom, 3 & 1/2 bath, triple garage. Linear gas fireplace in Living room! On 5 wooded acres on quiet cul-de-sac! 2 HVAC units, on demand water heater! Courtyard, paved drive, granite, quartz counter tops! Whole house stereo system and security system! Seller will consider including Alto golf membership lot with full price offer!